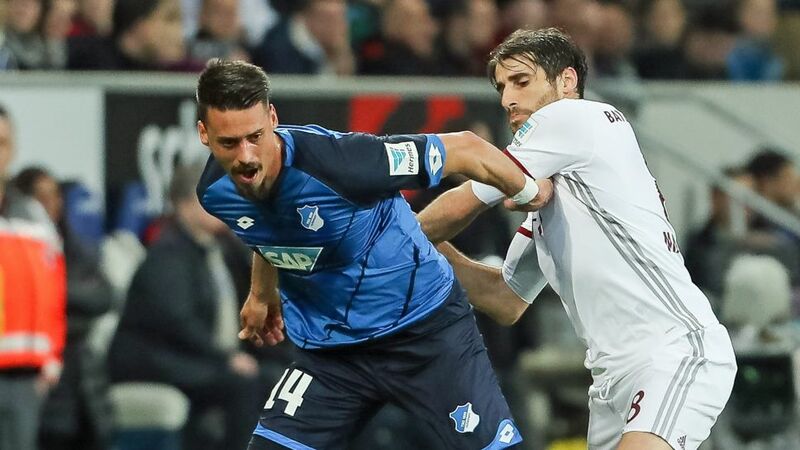 Bundesliga | Bayern Munich's Javi Martinez: "Sandro Wagner reminds me of Mario Mandzukic"
Bayern Munich's Javi Martinez: "Sandro Wagner reminds me of Mario Mandzukic"
Bayern Munich midfielder Javi Martinez has given his seal approval to the defending Bundesliga champions' signing of Germany international striker Sandro Wagner. Wagner, a Bayern youth product, officially swapped Hoffenheim for his hometown club at the start of the January transfer window on a two-and-a-half-year deal. "Whenever I came up against Sandro, I always knew: 'man, it's going to be uncomfortable today'," Martinez admitted in an interview with SPORT BILD. "He reminds me of Mario Mandzukic." Two physical centre-forwards standing at over six-foot tall, it is a fair comparison to make. Mandzukic, brought in around the same time as Martinez in summer 2012, was instrumental in Bayern's 2012/13 Bundesliga, UEFA Champions League and DFB Cup treble win, hitting 22 goals in all competitions. The Croatia international, now of Juventus, scored a further 26 goals under Pep Guardiola in 2013/14, before leaving for Atletico Madrid following the arrival of Robert Lewandowski. Martinez and Wagner are part of Bayern's 25-man squad currently warm-weather training in Doha, Qatar. The Bundesliga leaders resume their title defence away to Bayer Leverkusen on 12 January (kick-off 20:30CET/19:30GMT).